President Armen Sarkissian received today delegation headed by the Deputy Assistant Secretary in the State Department’s Bureau of European and Eurasian Affairs Bridget Brink. Welcoming the guests, President Sarkissian underscored the close cooperation with the US and the high level of the interstate relations. 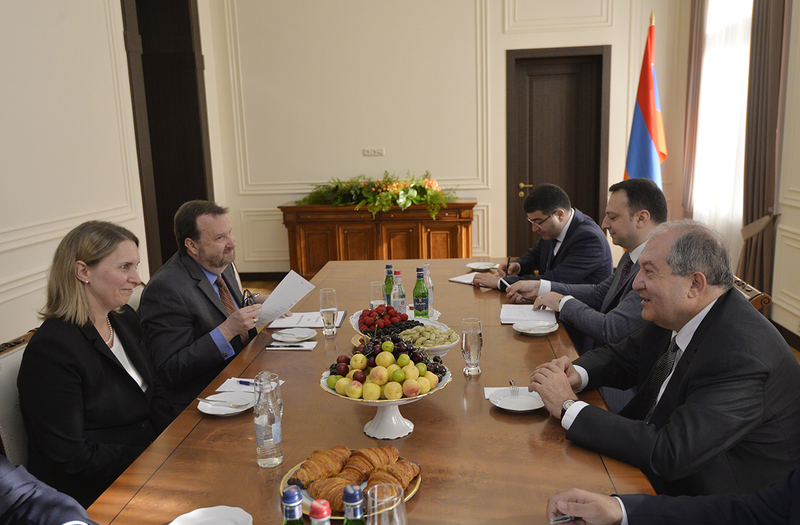 He noted that Armenia is interested in further deepening cooperation with the US. President Sarkissian highlighted the importance of the US efforts in the framework of its Co-Chairmanship at the OSCE Minsk Group along with other Co-Chairs – Russia and France – aimed at a peaceful resolution of the Karabakh issue. 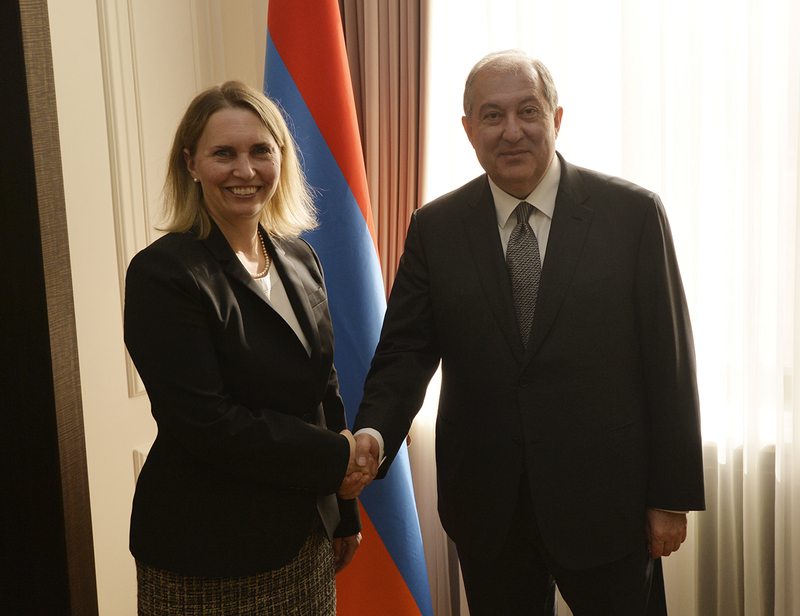 Deputy Assistant Secretary Bridget Brink congratulated Armen Sarkissian on assuming the office of President and on the occasion of the 100th anniversary of the First Republic of Armenia.